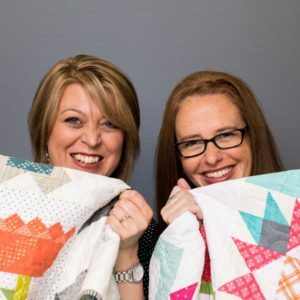 Looking for your next big quilting adventure? We have you covered with Heartland Heritage! Announcing the release of our newest adventure, Heartland Heritage. This quilt design is printed in the form of a desk top calendar to help keep you stitching all year long. Start your new year off with an exciting adventure that offers a variety of blocks, techniques and color options. The results will be a stunning quilt top. Just select your favorite fat quarters, pull from your scrap bin or shop at your local quilt shop for new and exciting fabrics to include in your quilt. We can’t wait to see your blocks come together! 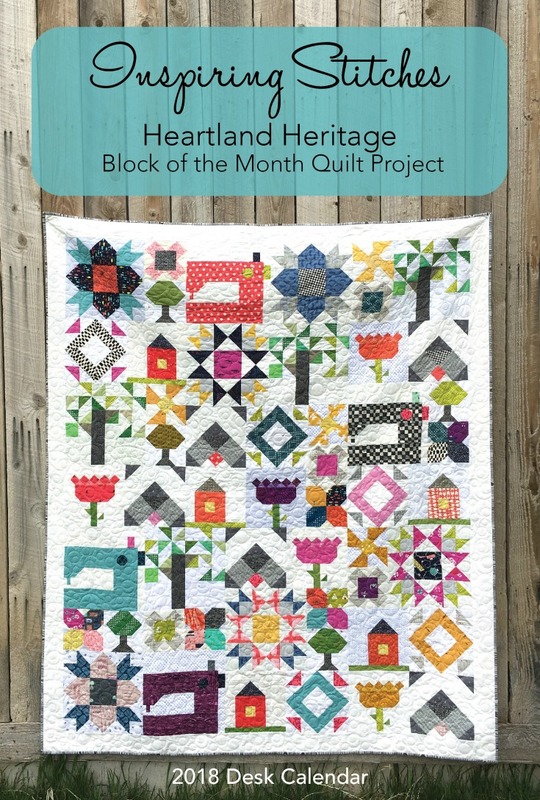 You can purchase your copy of Heartland Heritage at your local quilt shop or order it on-line here. How do I order my calendar? I can’t find it, I would love to order one for my aunt also!!! Please help. Or pick up a copy in your local shop. By any chance is there any way of getting the calendar for ourselves? Is it available for purchase? Absolutely love this calendar I received in the mail today! I look forward to making the quilt…so talented you all are! So happy you love it Pepper! We are pretty excited too. Be sure to share a few pictures with us along the way. I just received my calendar in the mail and can’t wait to start pulling fabric! This will be the perfect quilt for my sewing/guest room. Wonderful Karen! Looking fabric to seeing your fabric pull. One of the choices was “pattern.” Is there a pattern that comes with the calendar? Thank you…love the quilt! 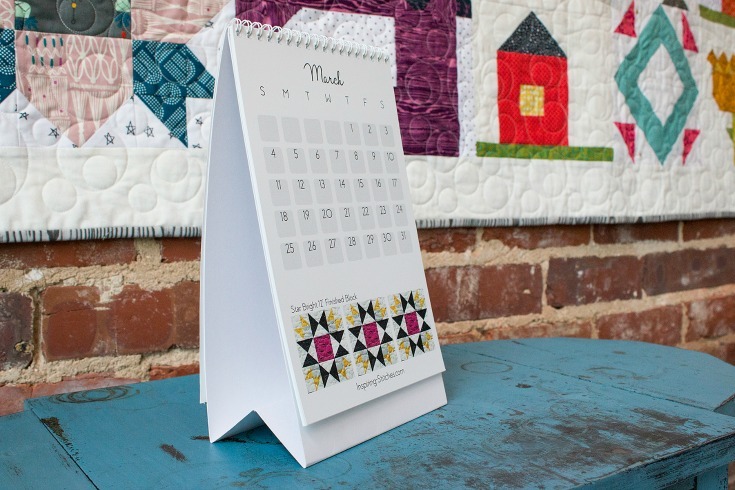 The pattern is formatted as a free standing desk calendar. This way, it will stand up straight while you are sewing. I purchased your calendar and have a question please and TIA. So on it – it calls for 5 yd of background fabric- my question is this. On each month it states how much yardage for background fabric, is that the amount needed for like January states 1/3 yd. is that for all 3 blobjs needed or just for one? Great question. The yardages provided will cover all of your blocks. Looking forward to seeing what fabrics you select. I have never sewn a quilt before but want to learn. Is this too advanced for me? If you make videos each month, seems I can follow along? This is perfect! Each month you will learn new techniques and tricks to bring your blocks to life. We look forward to stitching with you! what a sew perfect idea! Love it! So, I have my calendar and I wanted to know, if you use a fat quarter bundle for this project, how many FQ’s would be needed? I have several FQ bundles begging to be used! Thank you for your note Cindy. Amy & I pulled from our scrap stash but the pattern can be made with 24 fat quarters and 5 yards of background fabric. Looking forward to seeing your fabric selection.